A growing collection of projects, activities and science art suitable for multiple grade levels. New 6th grade science unit lesson plans and science clip-art coming soon! ….plus individual and group counseling materials as I finish my M.Ed. in Counseling. Visit my store on TPT to preview some of my most popular products! I’m working hard to overhaul my vocabulary units, and I am happy to report that I finished ALL 12 Physical Science Units. Inspire your students’ creativity while examining the finer details of adaptations! Each set includes five unique and realistically drawn creatures to help your students identify structure and function using art, cut & paste, and critical thinking activities. Great for a project, science center station, or review! Students will first create a detailed grid drawing. This is a great technique for beginning artist to use, illustrating one box at a time rather than trying to draw an entire image at once. It also gives them an opportunity to focus on the unique structures of each organism. Once the grid is complete, they will cut out the example image and identify the structure(s) and function(s). Check out ALL Major Biomes. This recent addition is a tool to help students build their scientific reasoning skills and science vocabulary. I have full units available for Earth and Space Science. Life and Physical Science will be out soon! Check out Science Snaps in my TPT store for a free sample! 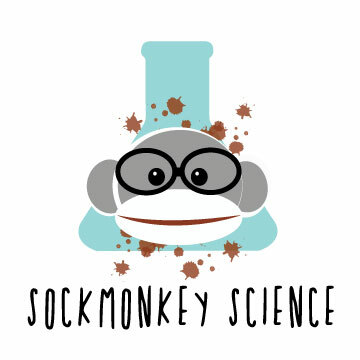 Visit Sockmonkey Science on Teachers Pay Teachers.